So after around 10 hours of work, this is now, for a better word, more or less, completed. 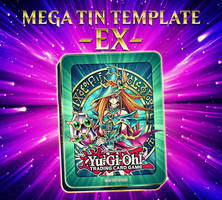 All of the official card types that does not have an extended artwork (Normal, Effect, Ritual, Fusion, Synchro, Xyz, Links, Spell, Traps and Token) now has extended art support. 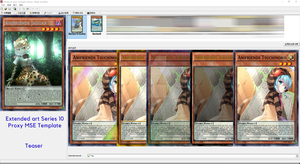 You can enable it by going into Styles in MSE and turn "Extended Artwork" on. 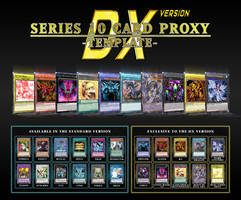 As you can see, this template looks a little off from actual Series 10 cards released in OCG, the original author of the templates, 煌武院悠阳, build those from scratch based on the scans of Decode Talker, then the original author of the Extended Arts PSDs, Laibill, adapted 煌武院悠阳's design which became the base of my MSE template, thus there are some differences form the actual thing. 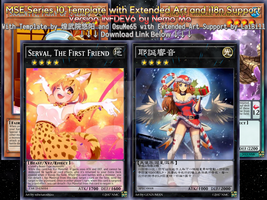 Based on the original authors, a recreation of both the standard and extended-art templates based on the scanned cards will be available in June, by then I'll update. 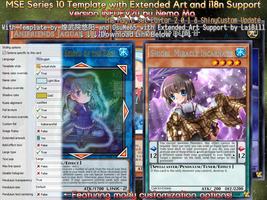 In the next version, you can switch between "Proxy-Like" and "Actual Style" just like switching Extended art on and off. 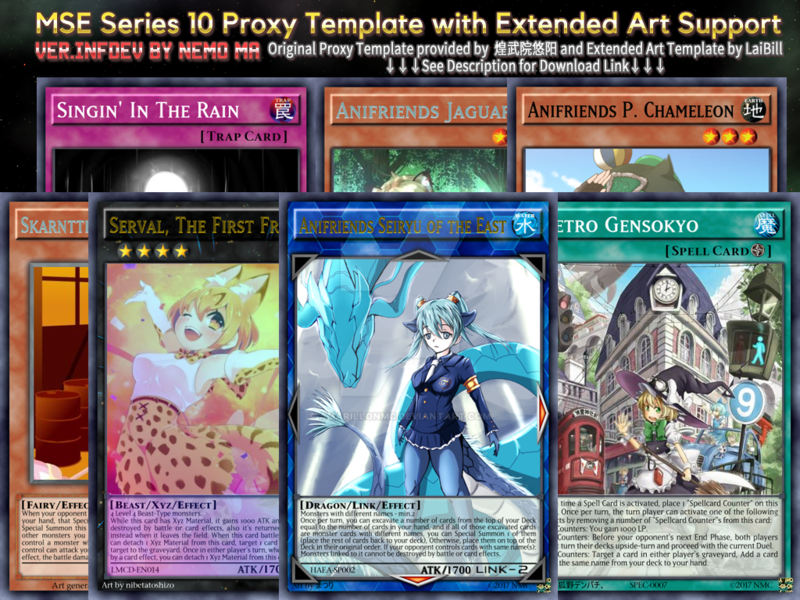 Source template adapted from 煌武院悠阳's Series 10 TCG Template. 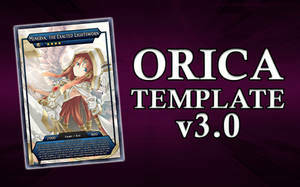 Also adapted from LaiBill's Series 10 Full-Art PSD Template. 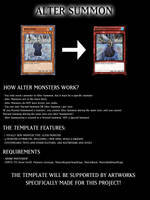 Mana provided some support on the MSE part.